So we’re just over one week on from New Year’s Day now. 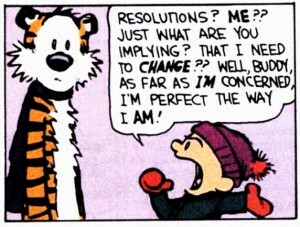 How many of you are still keeping those resolutions that you set yourself for 2012? 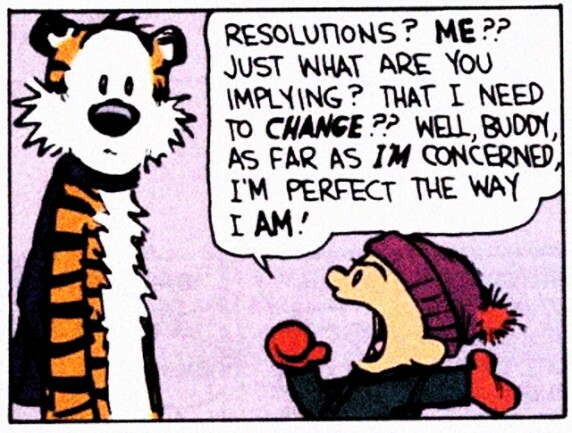 This week and next is the peak time for people to start dropping their resolutions and pretending that they never made them – sneaky eh! You don't think I'm perfect? I must keep a log of everyone I meet, including name and location of meeting. This is in the form of my diary. Not a journal before you make any presumptions – just a diary for appointments! This person cannot be someone I have a fleeting conversation with – ie. Shop assistant, bartender, lost tourist on the street etc. It must include at least a five minute conversation and their name. No name equals a failure. Christmas Day is an exception! Not a bad start eh! In eight days, I have met seven people. I like these odds. Whilst a number of them I am unlikely to form a blossoming friendship with, there is every chance that some of them will become regular contacts. This makes the resolution worthwhile for me, being the sociable creature I am, and long may it continue…without sending me too insane.